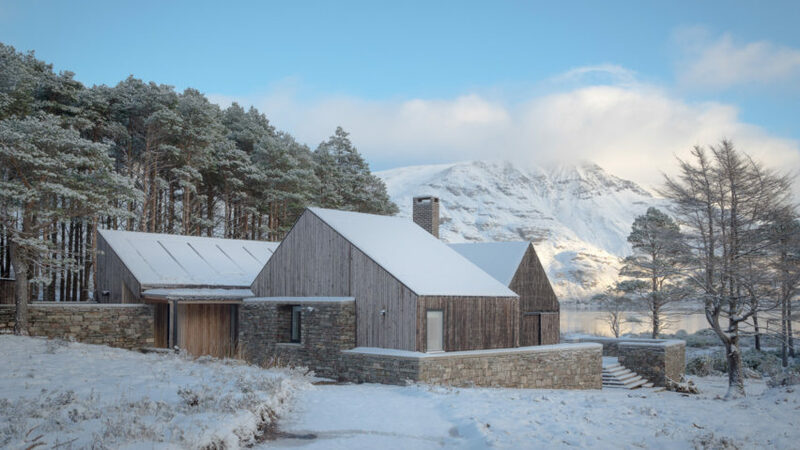 A humble cottage on the edge of a lake in the Scottish Highlands has been named as the UK's best house of 2018. The announcement was made during the final episode of the Channel 4 television series Grand Designs: House of the Year this evening. Cambridge-based Haysom Ward Millar Architects designed the property as the home for a ceramic artist. 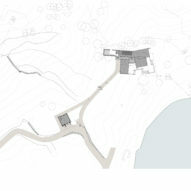 Made up of three humble buildings, the house is crafted from natural materials that complement its scenic location. Charred Scottish larch clads the building's exterior, which is shielded behind a traditional drystone wall. Inside is bright but pared-back, with highlights including ceilings lined in oiled timber, a focal fireplace and large windows framing views of the lake and mountains. The house is also off-grid – it produces its own electricity from solar panels, and sources clean water from its own borehole. "Lochside House is truly breathtaking," he said. 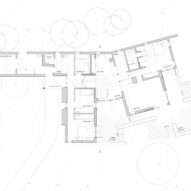 "By containing its scale, sensitively positioning the crop of buildings on a promontory around established trees, and making use of local materials, HaysomWardMiller have created a home which perfectly responds to its exposed, unique location." The house was chosen for RIBA House of the Year by a panel of judges made up of architects Takero Shimazaki, Niall Maxwell and Chantal Wilkinson, curator and journalist Laura Mark, and engineer Paul Rogatzki. Shimazaki described the building as "a well-designed home that is an example of humble, grounded, contextual yet powerful architecture that people can aspire to and be inspired by". "It is astonishing that the remoteness and challenging weather did not prevent the client's vision being achieved," he said. "The architect's off-grid solution seems almost effortless." "Inside, the spaces merge with the artist owner's art collection, and there is an overwhelming sense of comfort, warmth and homeliness." Lochside House was one of 20 houses that featured in the Grand Designs: House of the Year series. Over the four-week run, the list was whittled down to a shortlist of seven. These included Old Shed New House, a house built in the framework of an old barn by Tonkin Liu, and Red House, a London terrace property featuring a decorative relief facade by 31/44 Architects. Previous winners of the prize include a "box of tricks" house in Edinburgh and a Norfolk country house clad in pieces of flint. Photography is by Richard Fraser.